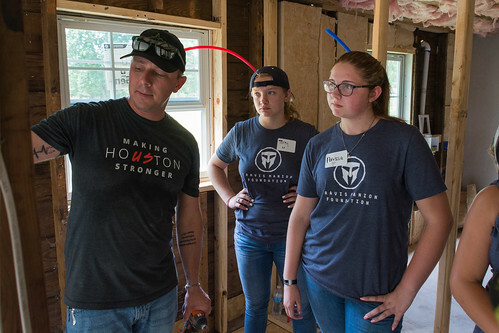 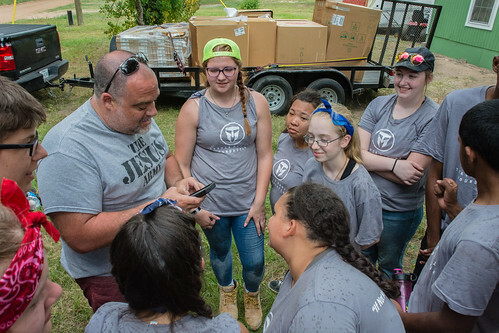 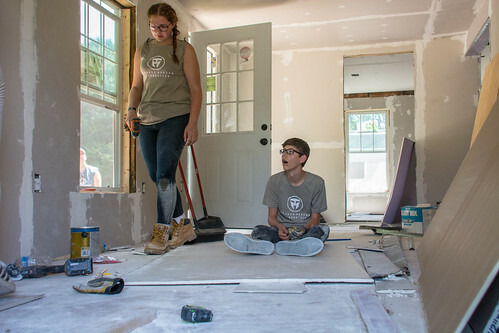 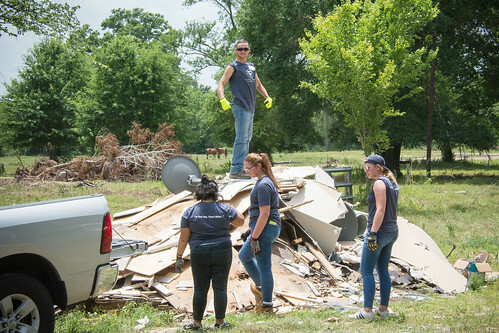 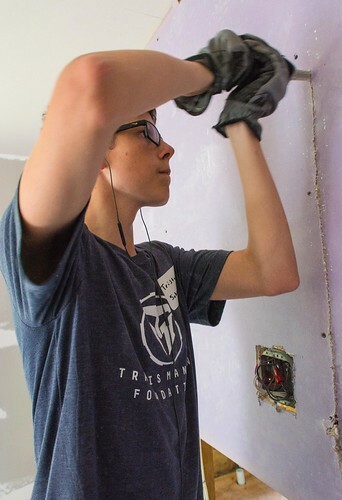 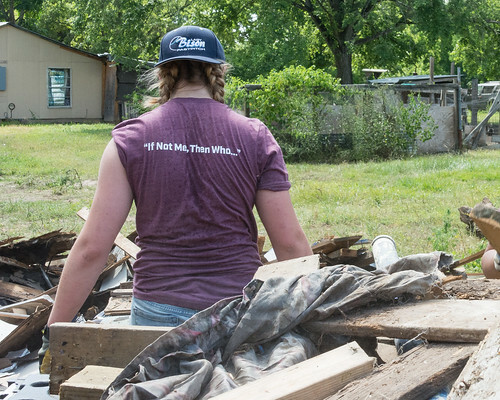 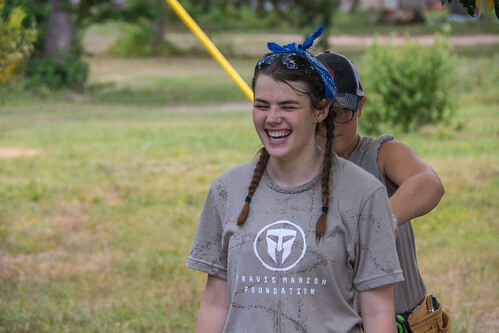 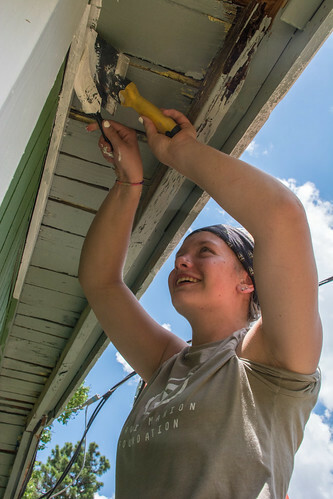 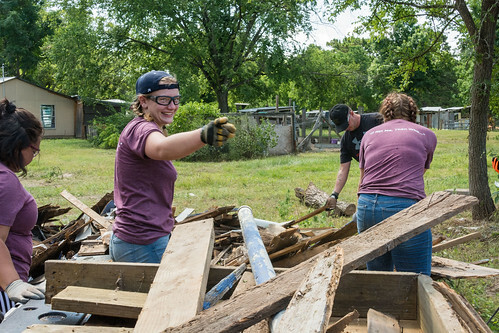 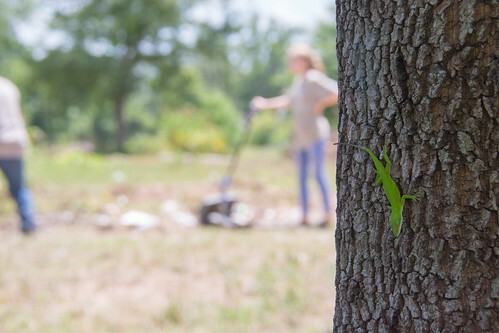 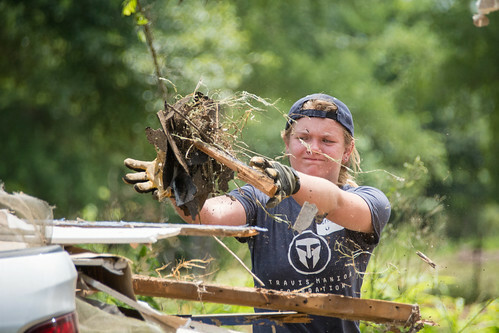 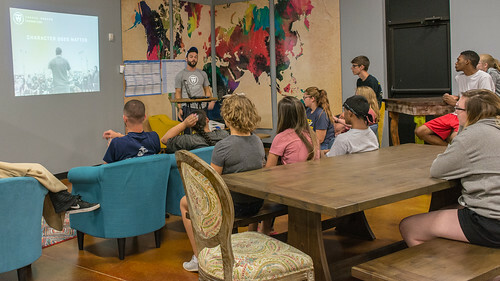 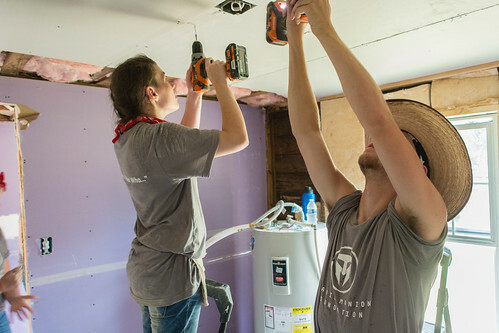 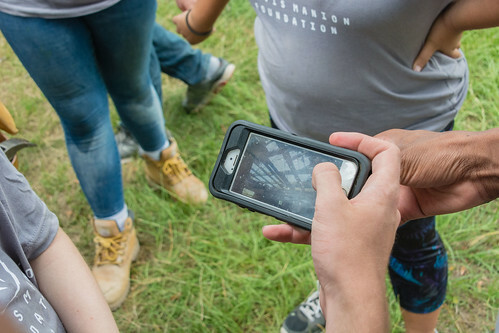 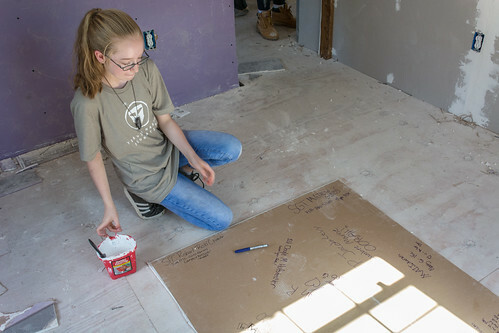 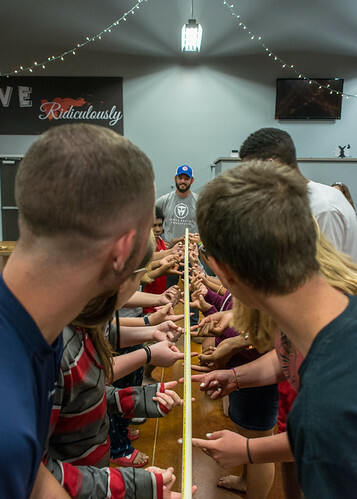 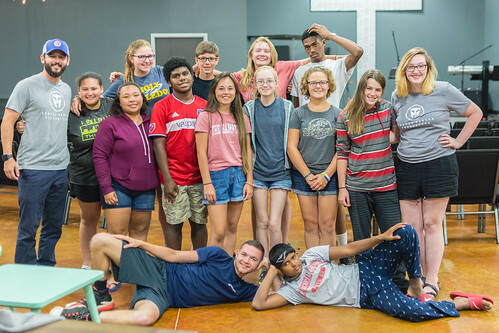 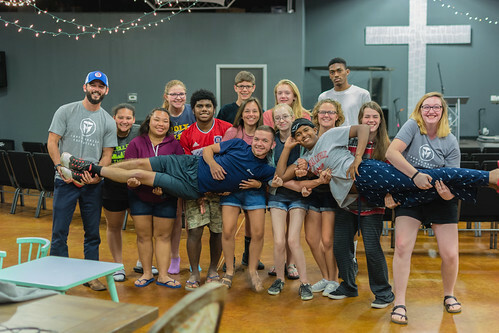 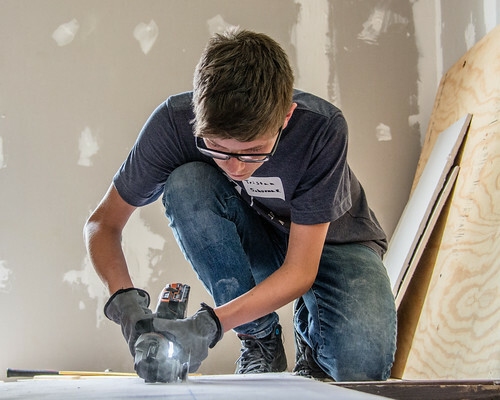 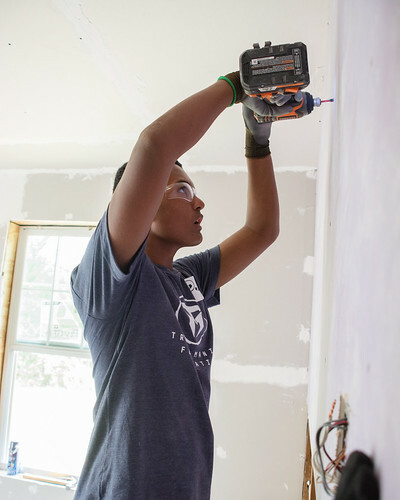 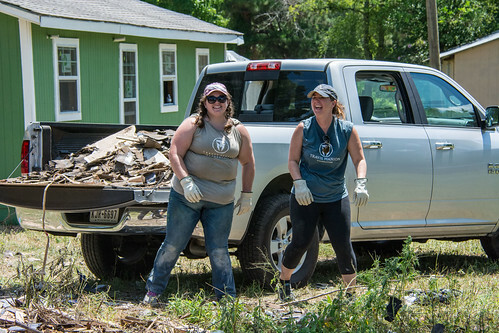 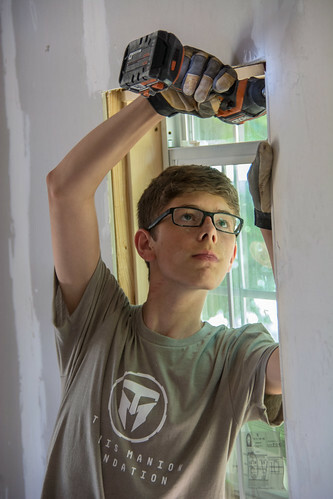 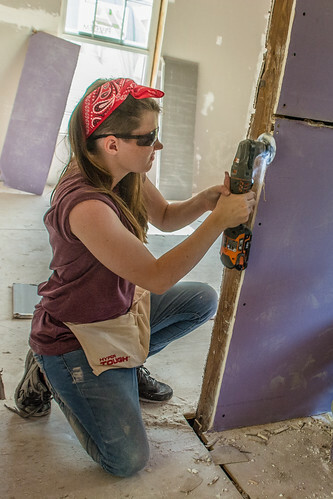 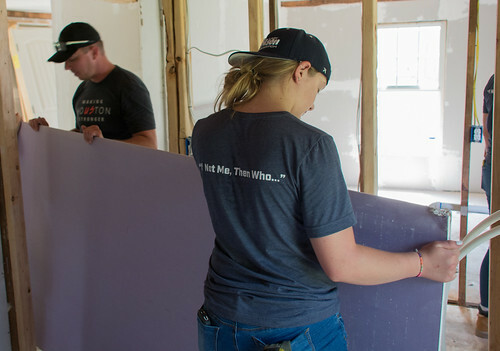 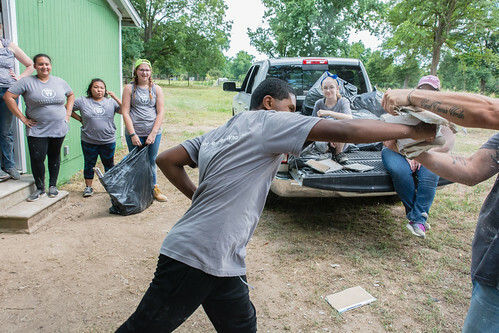 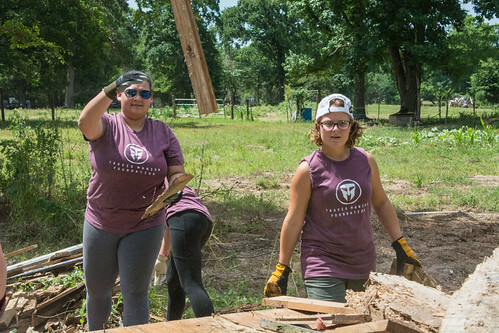 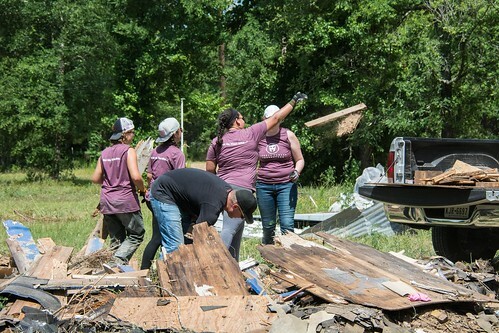 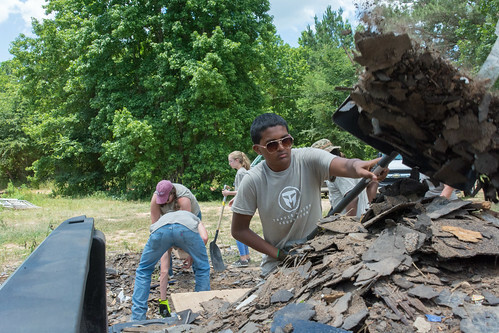 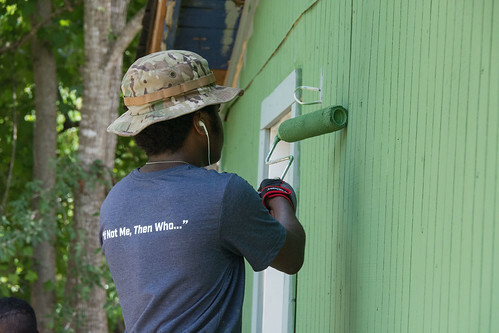 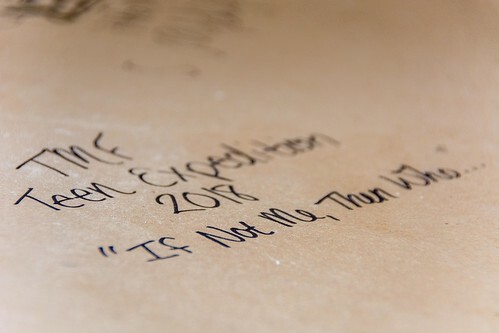 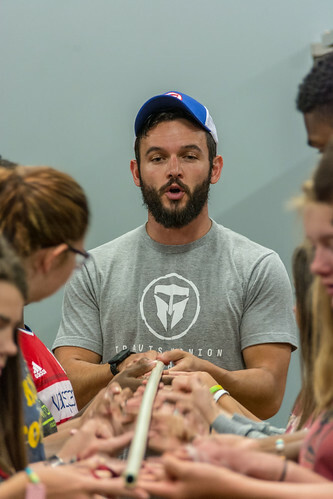 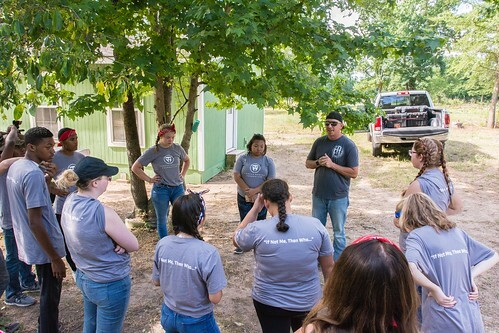 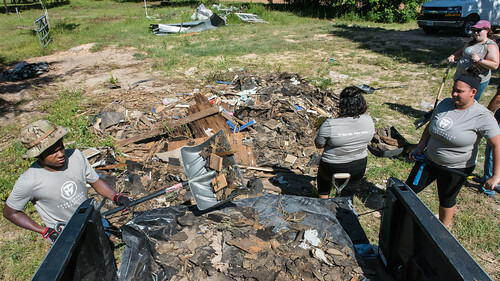 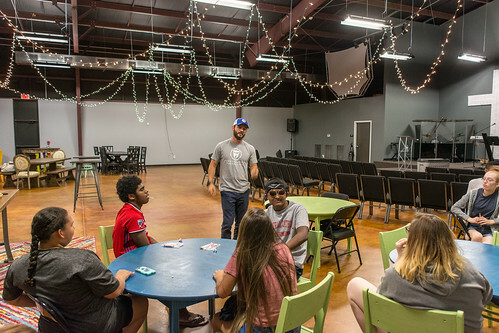 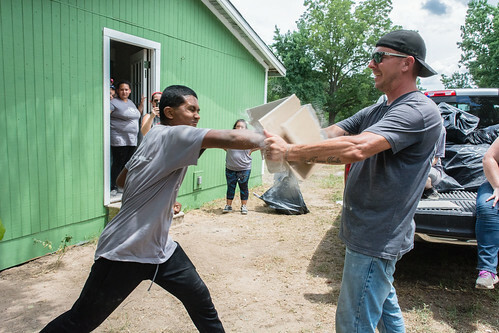 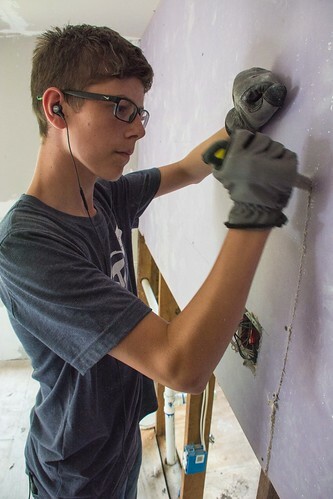 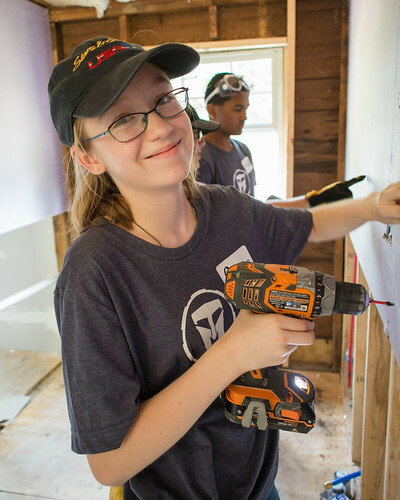 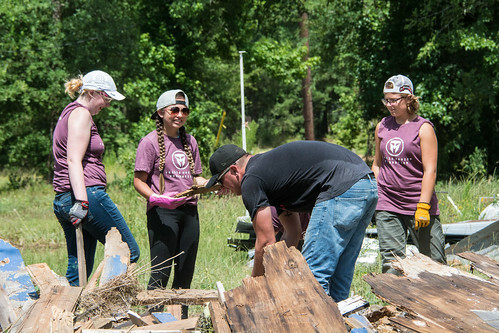 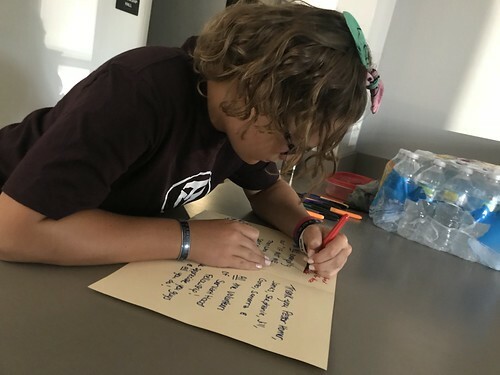 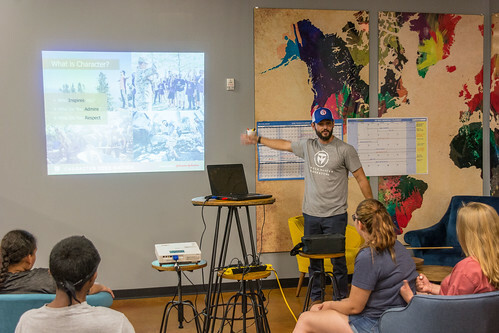 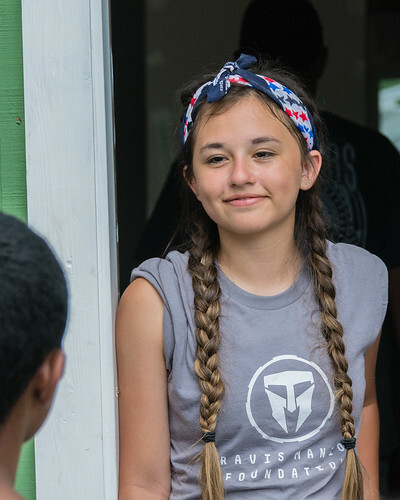 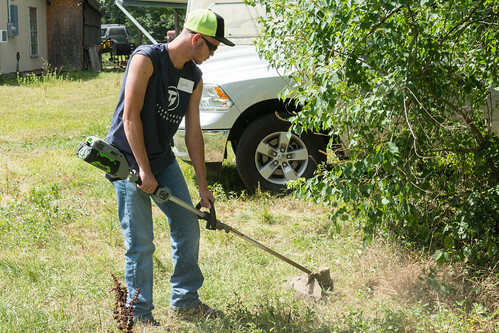 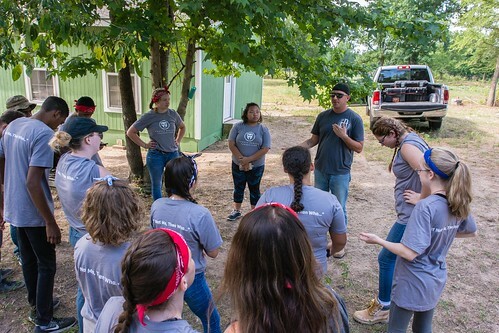 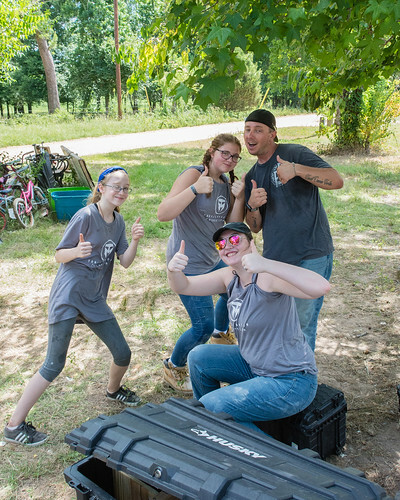 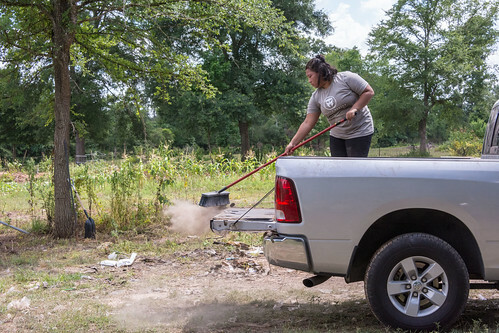 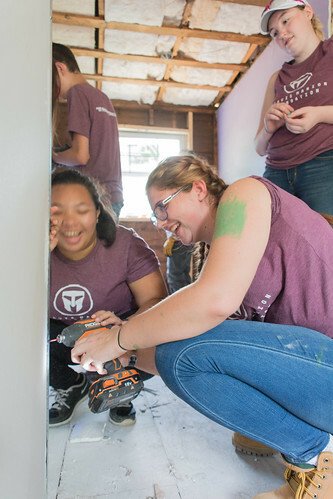 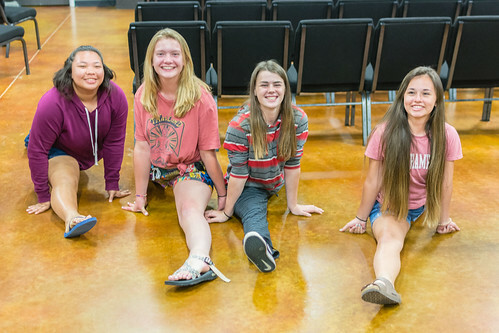 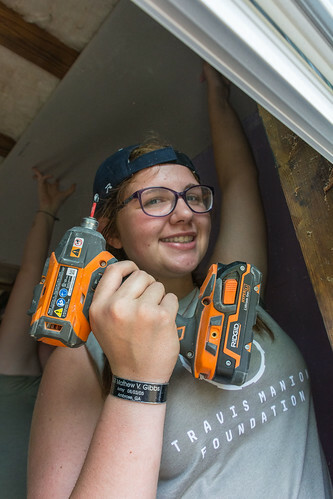 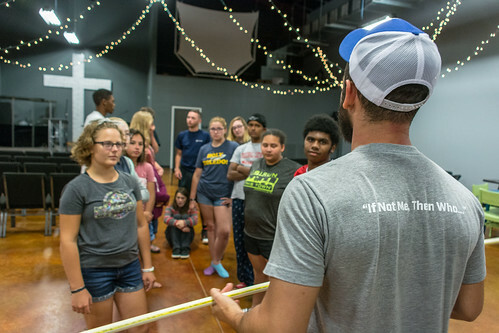 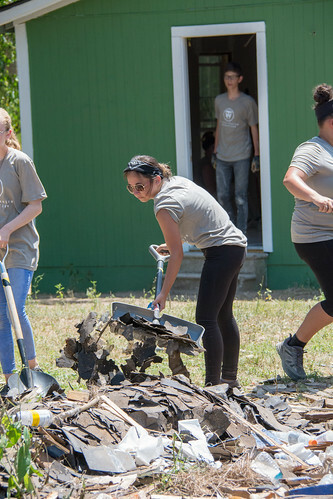 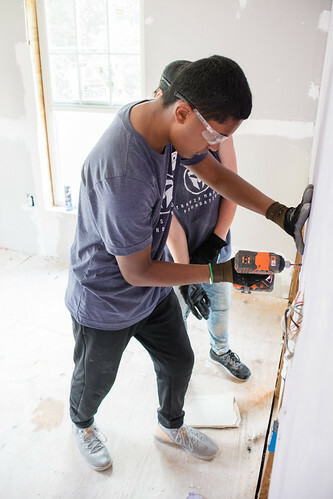 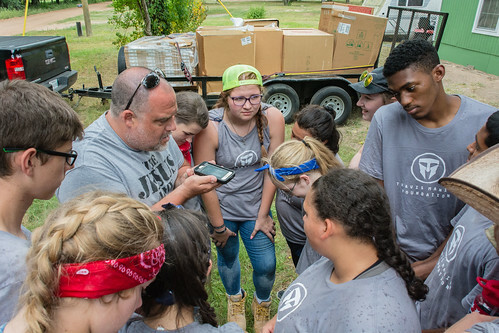 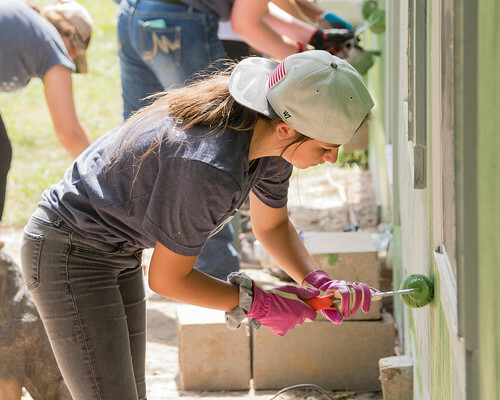 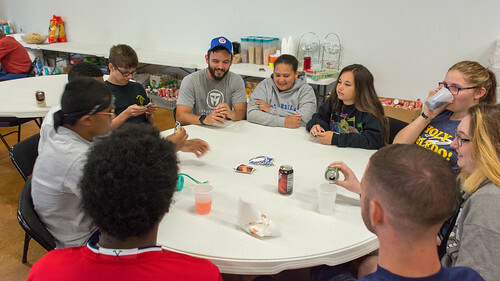 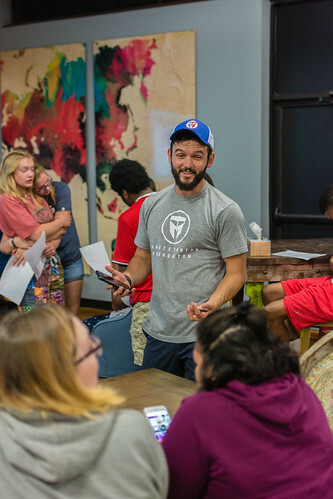 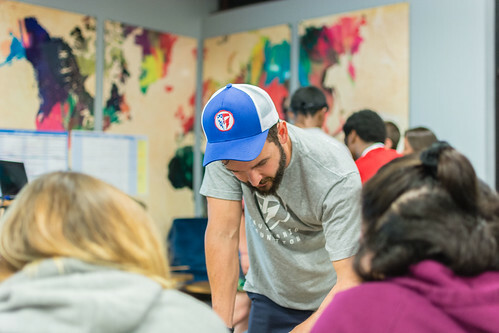 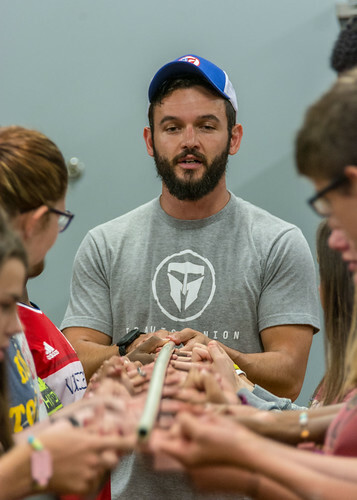 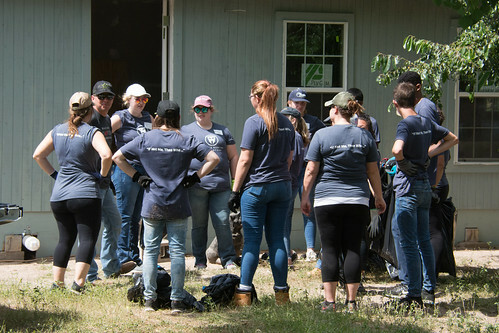 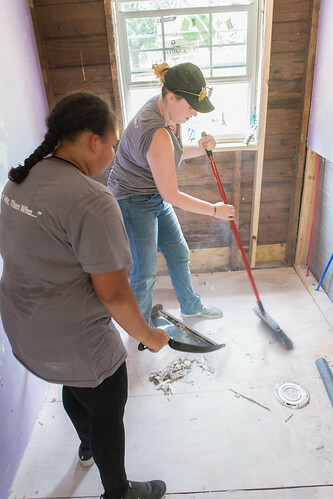 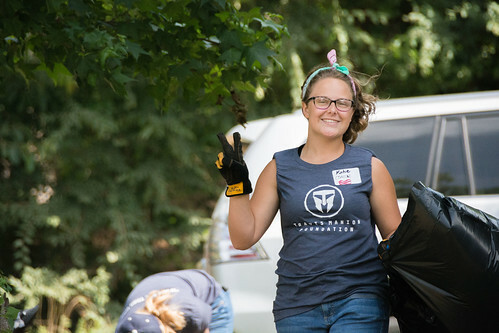 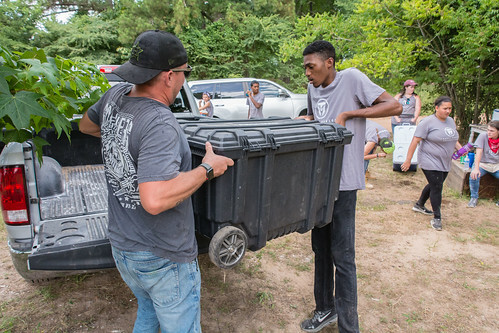 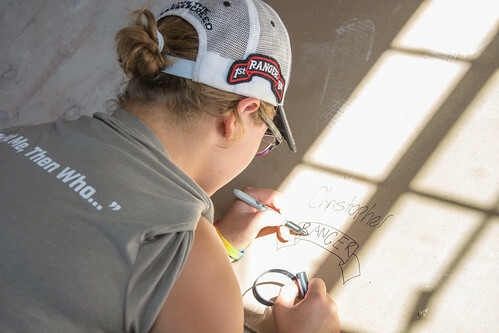 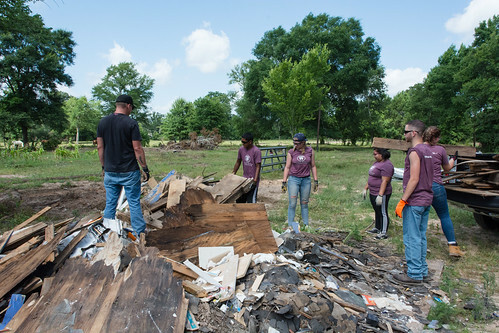 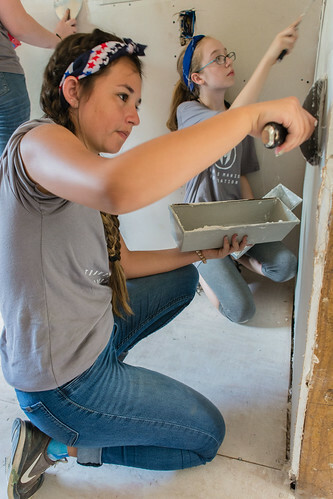 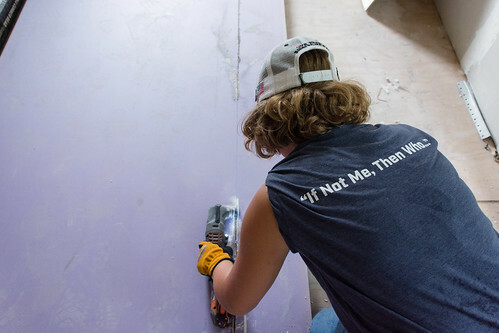 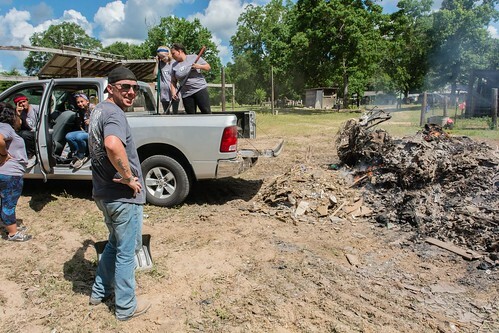 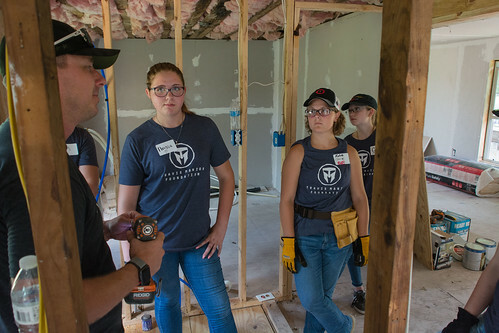 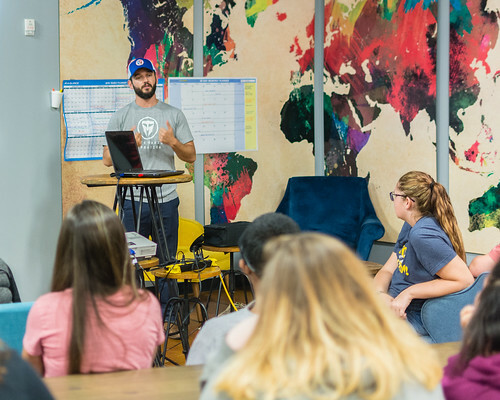 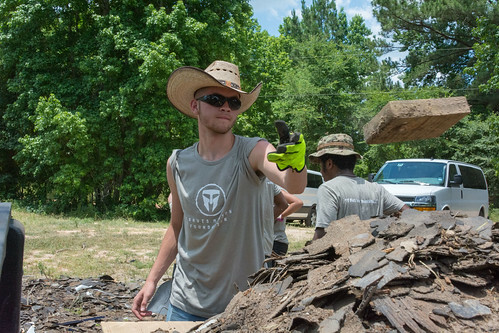 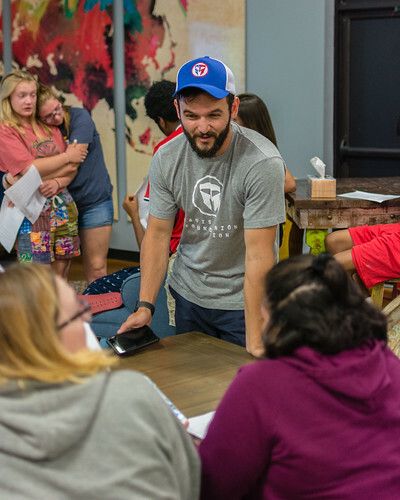 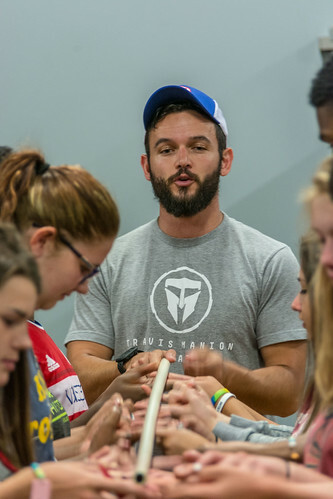 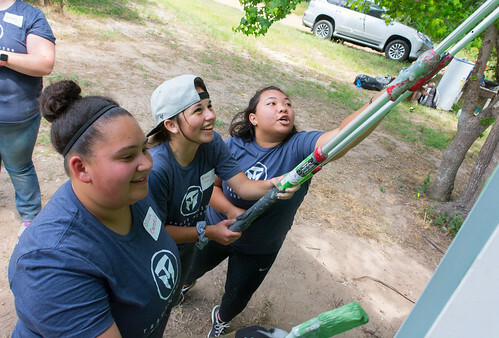 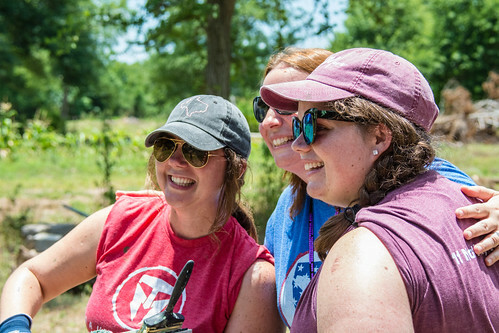 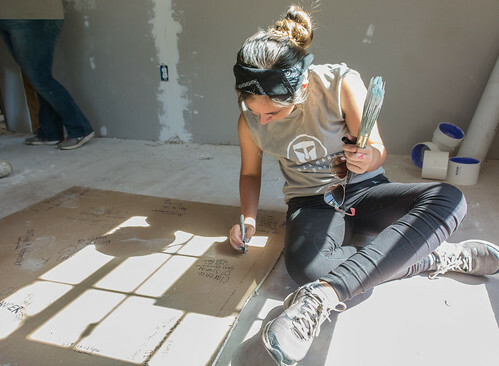 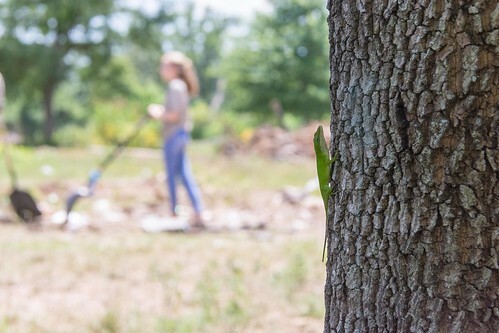 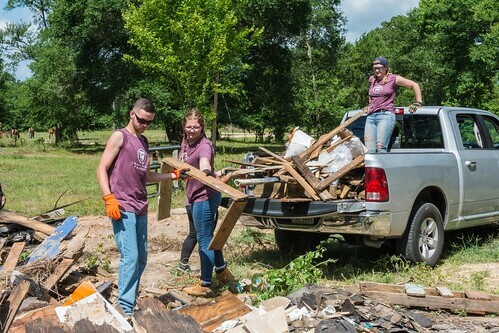 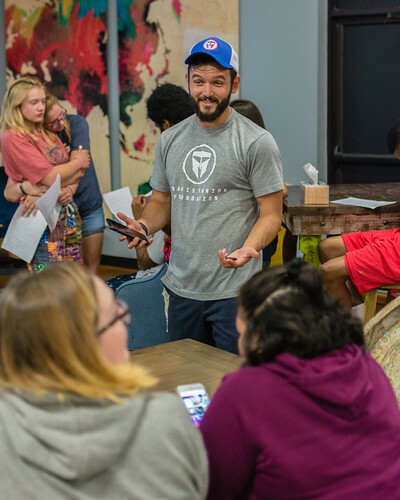 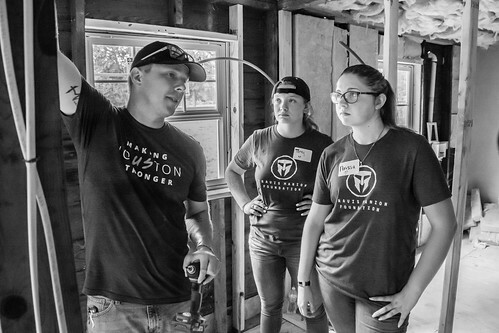 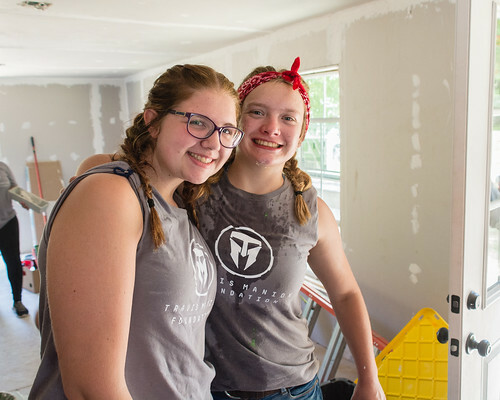 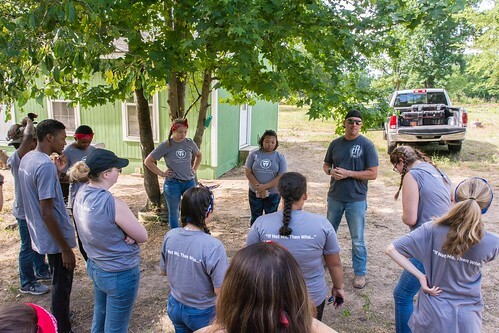 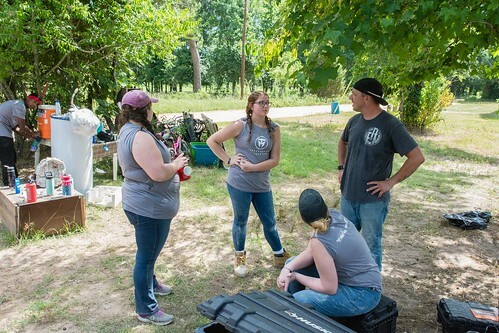 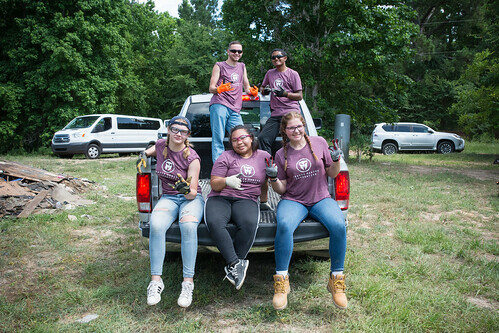 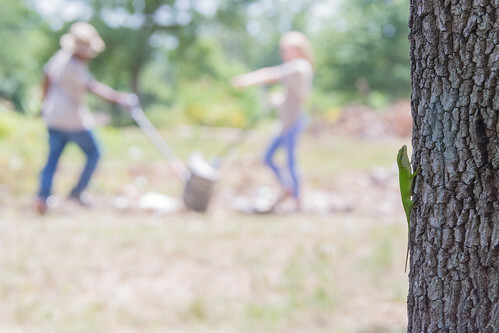 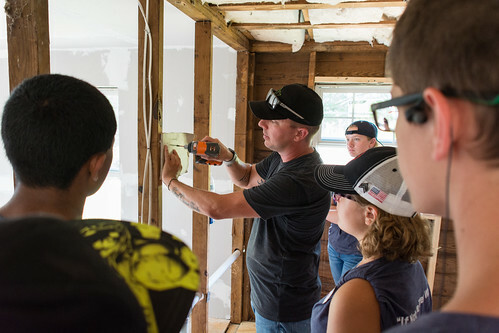 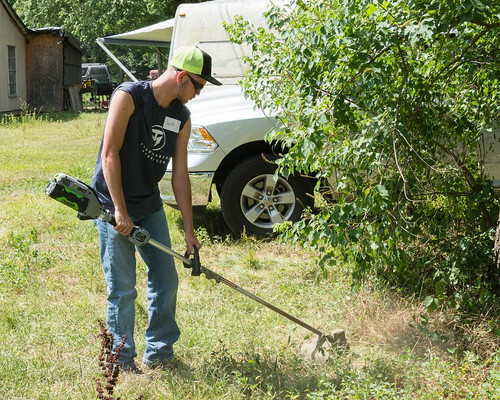 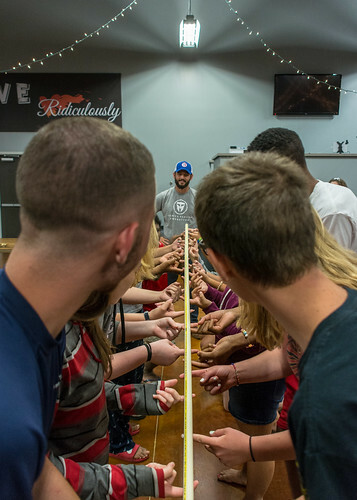 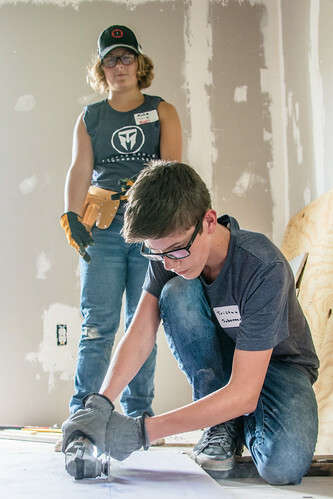 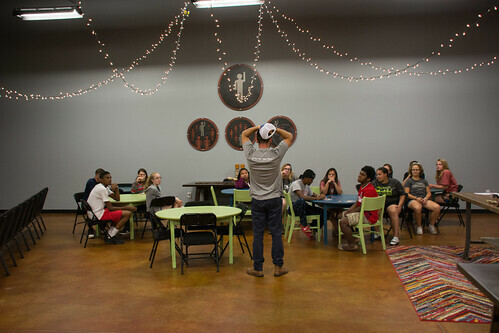 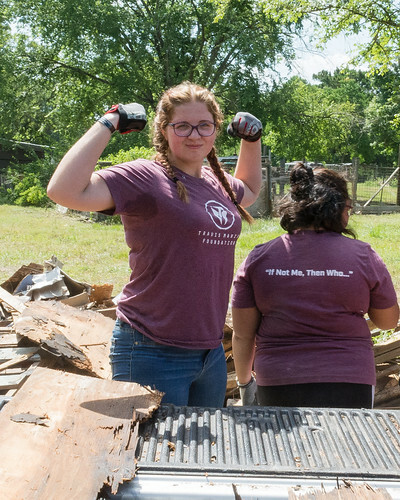 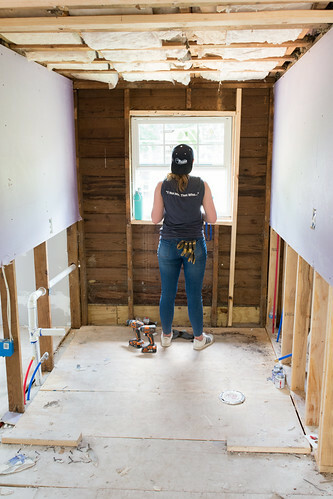 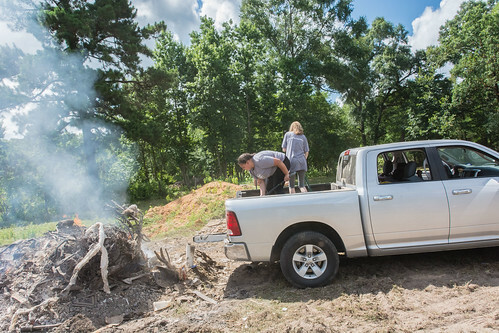 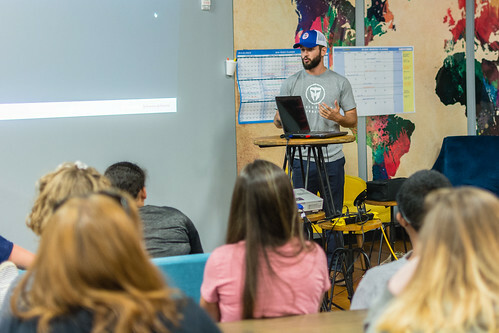 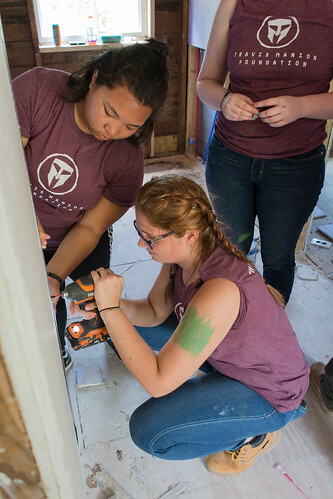 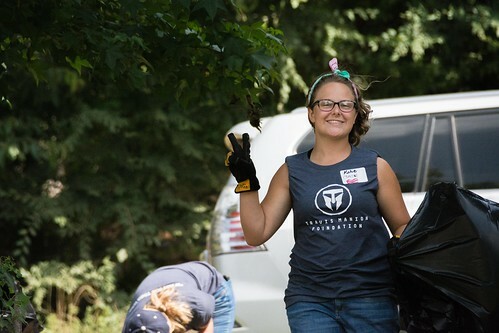 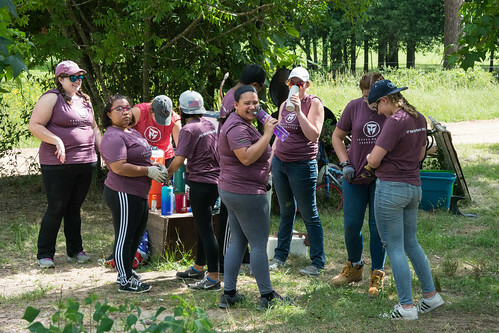 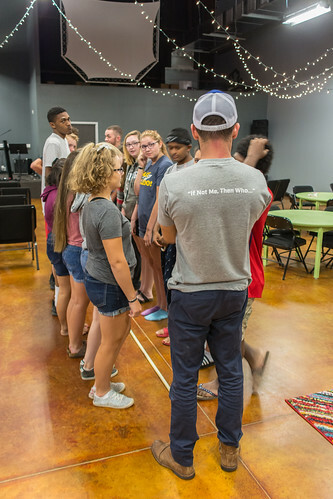 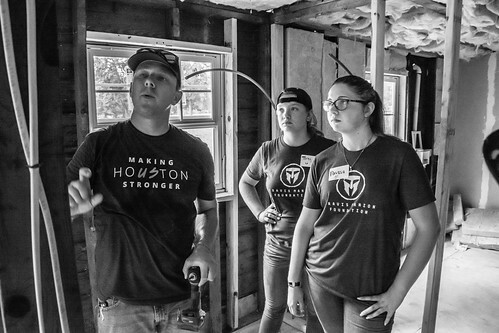 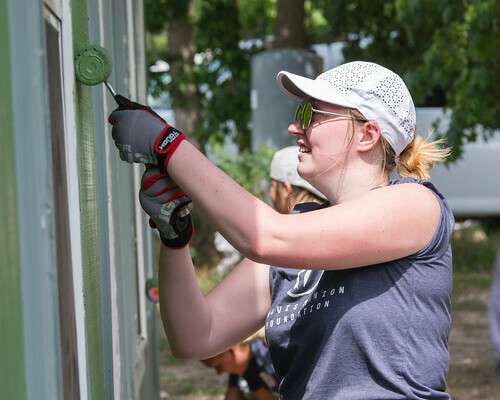 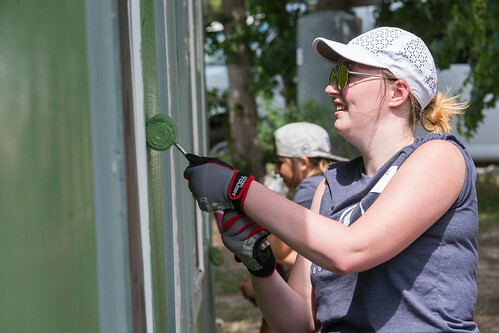 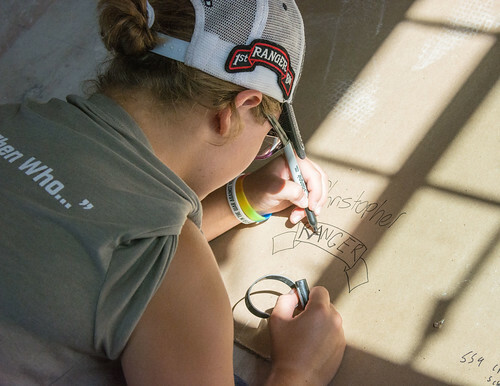 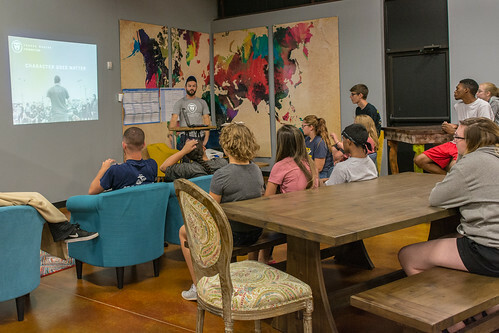 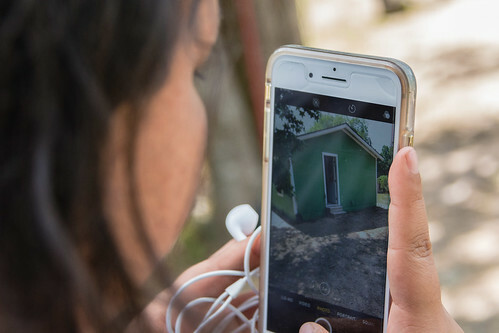 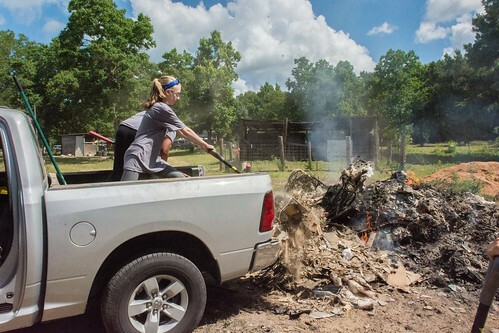 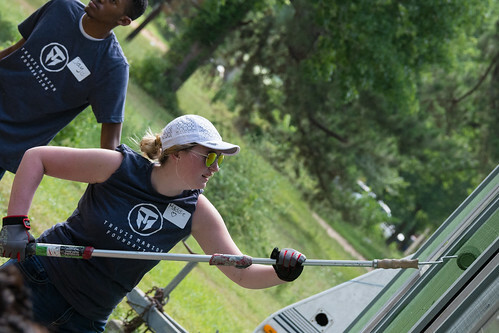 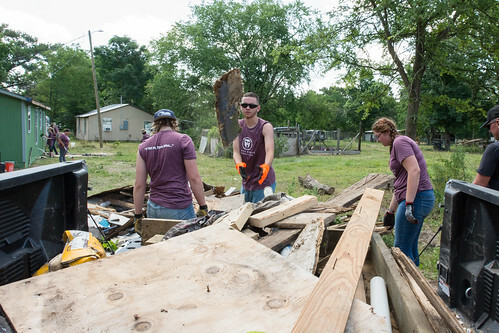 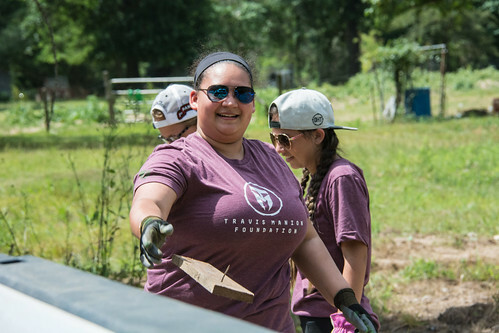 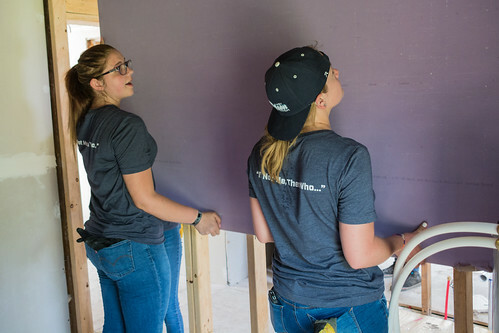 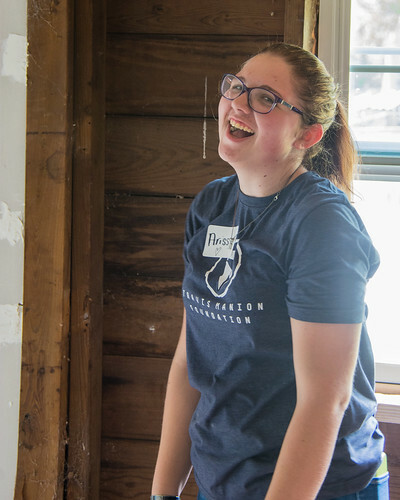 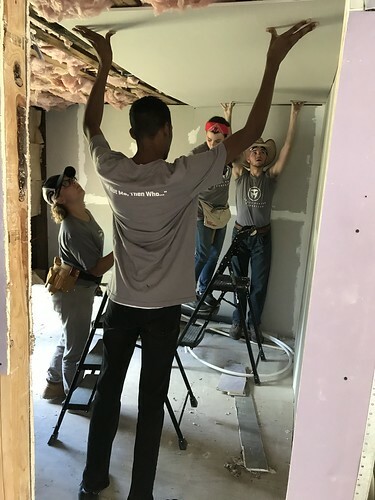 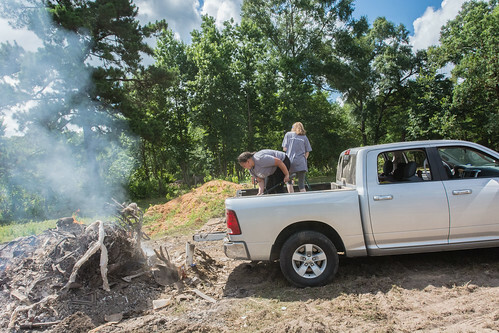 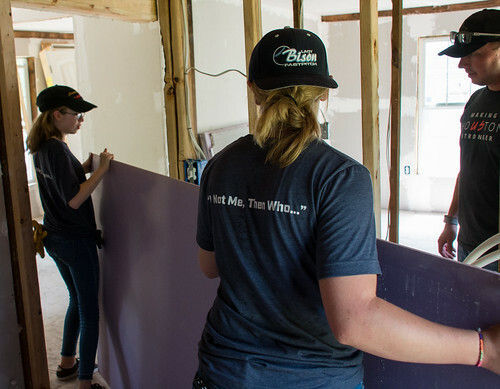 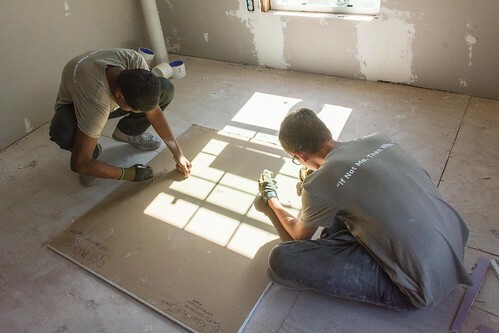 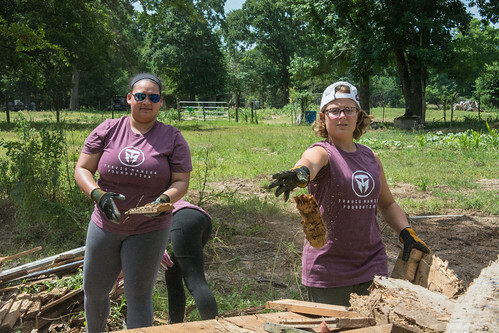 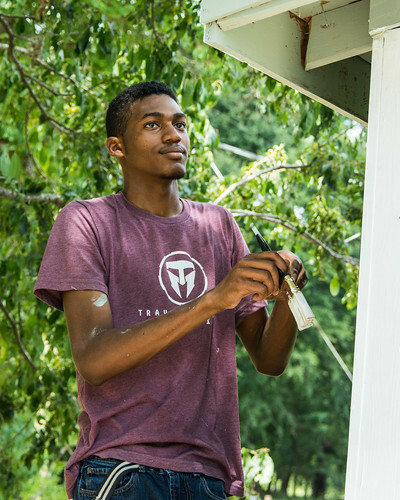 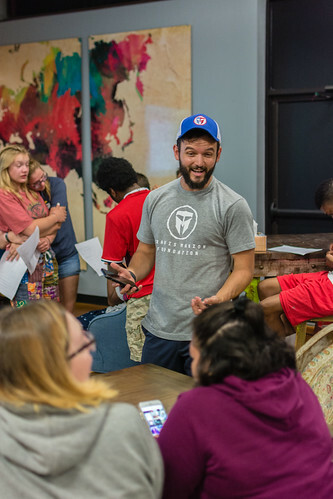 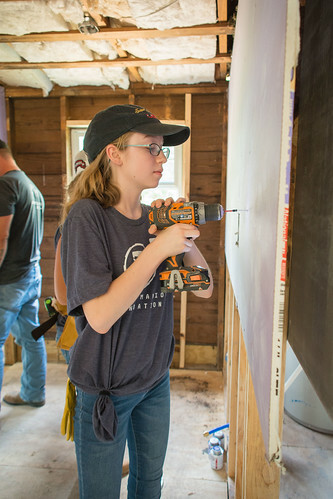 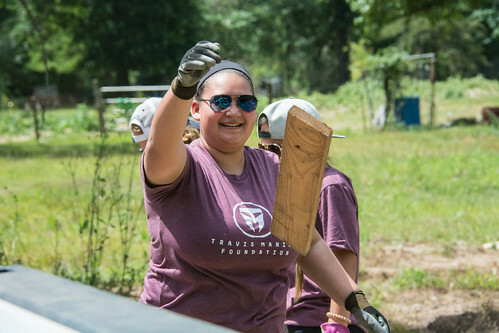 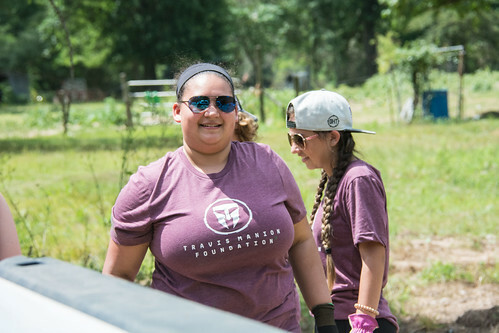 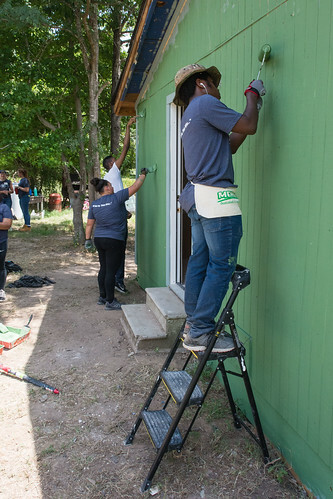 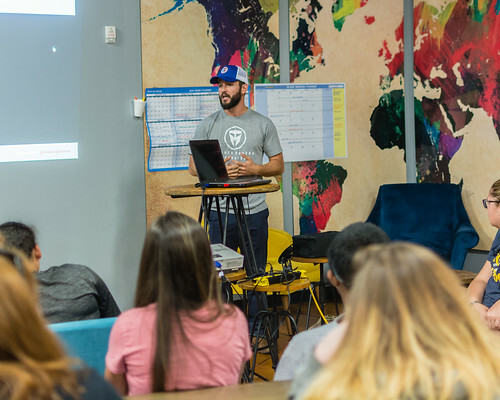 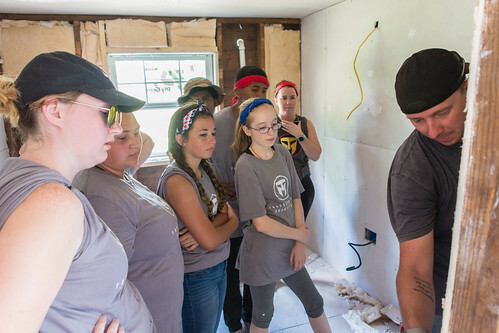 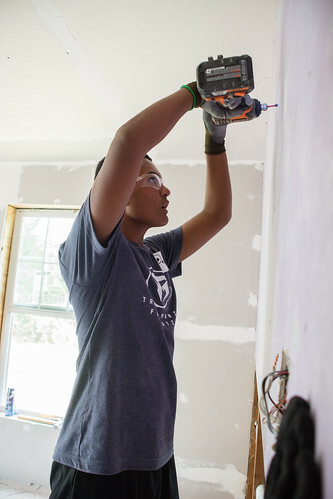 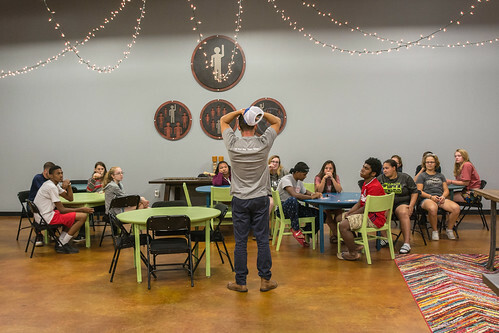 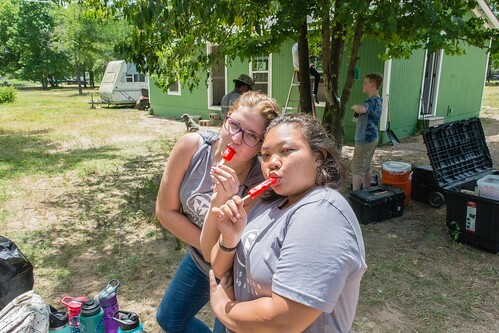 On Sunday, June 10, a group of fourteen teens from 14-18 years of age met in Houston, TX to aid the rebuilding process following Hurricane Harvey which happened eight months prior. 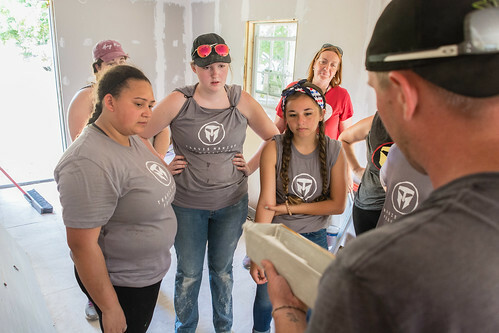 The group, all surviving children or siblings, spent four days working on a home for a community member that needed the help. 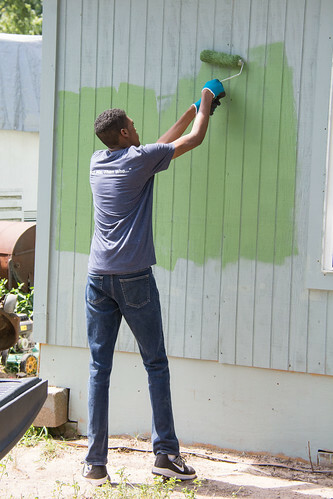 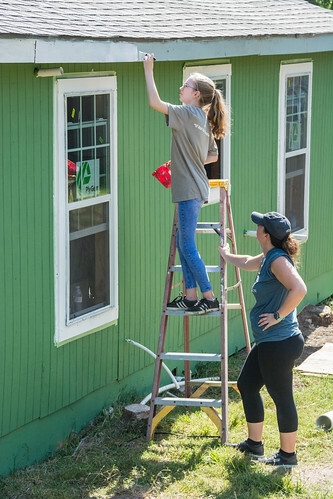 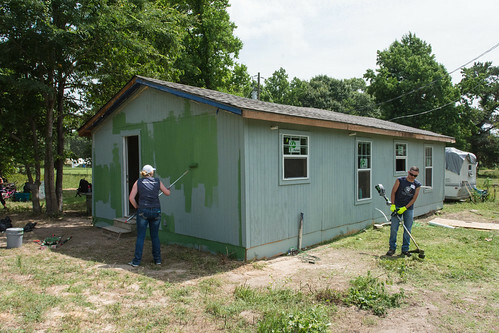 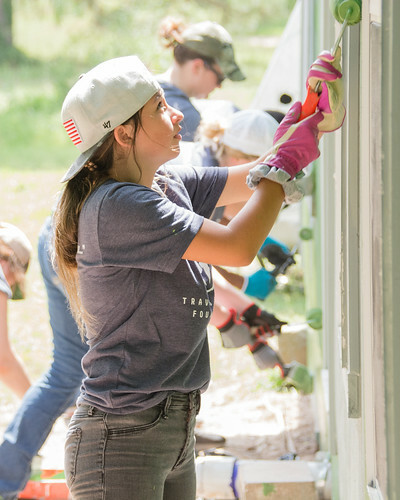 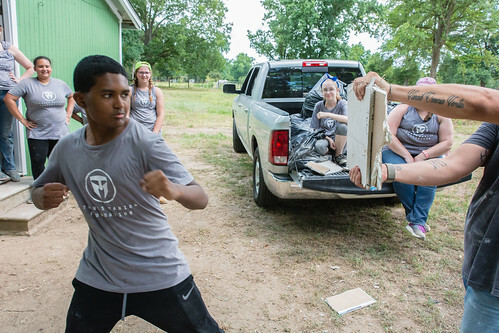 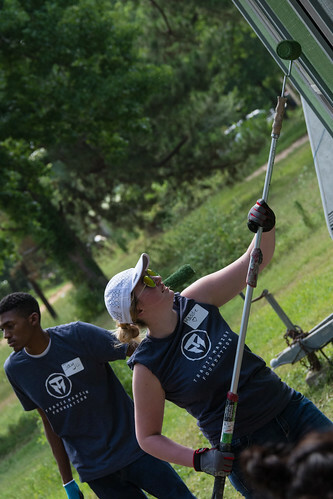 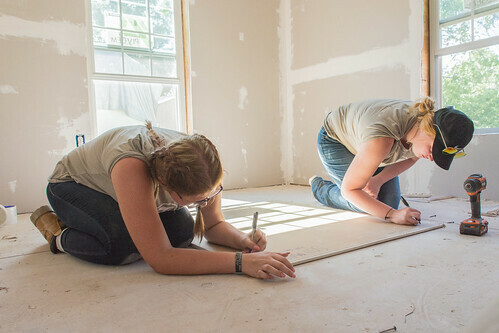 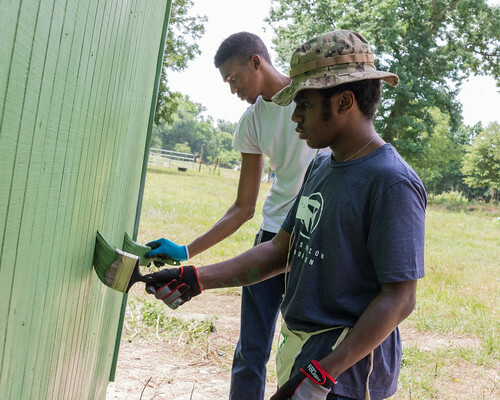 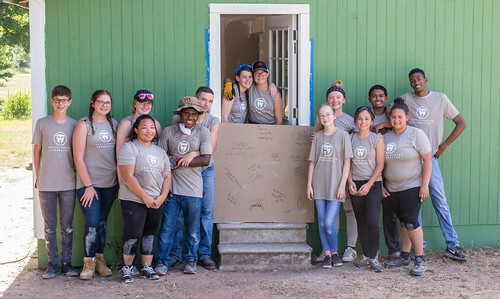 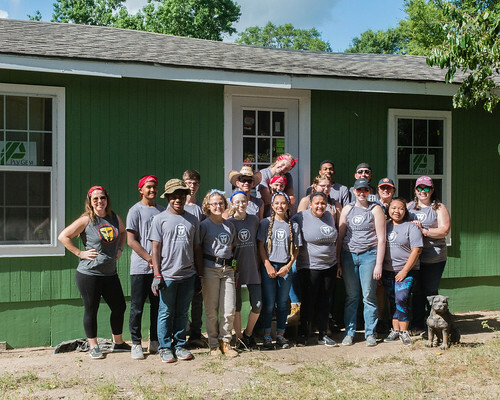 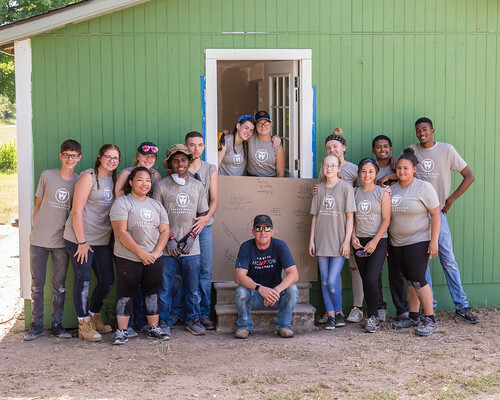 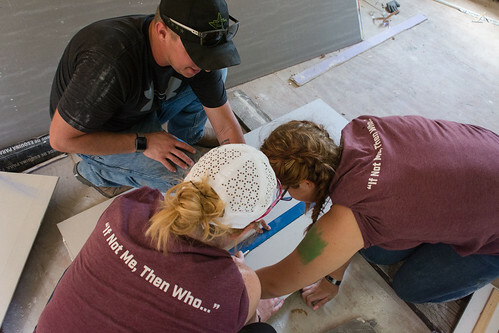 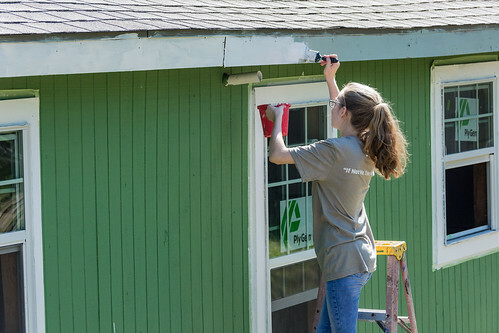 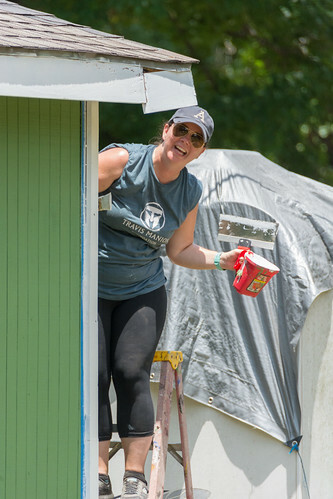 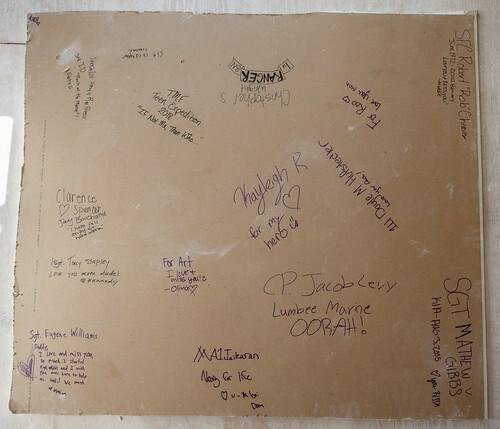 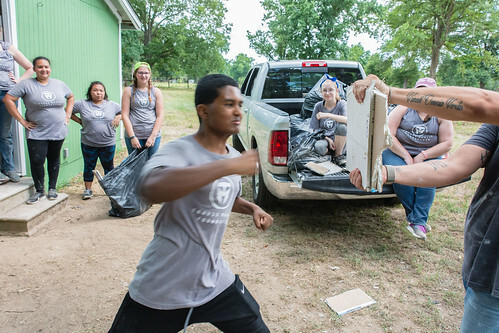 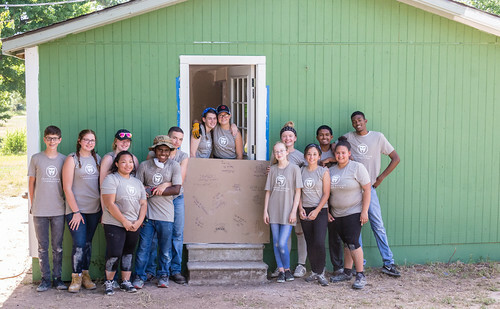 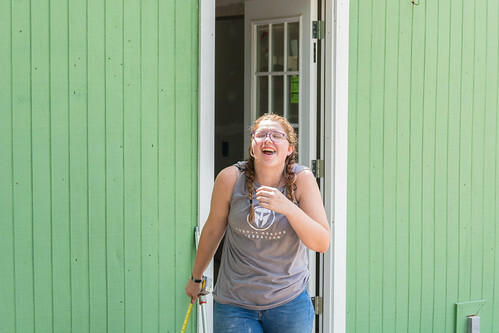 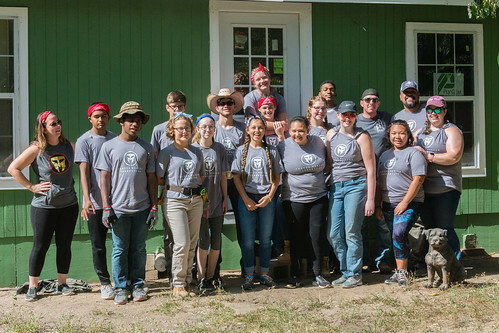 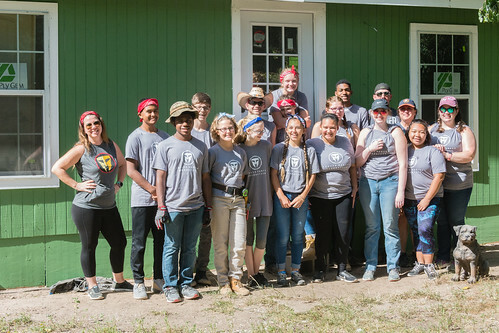 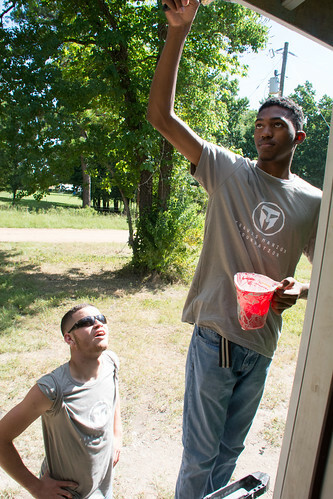 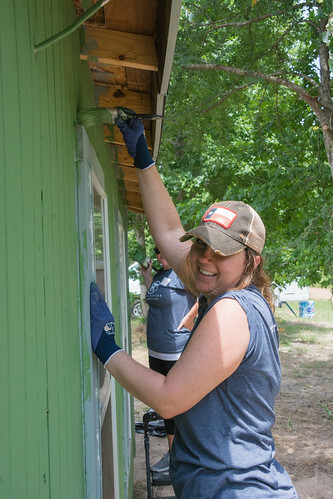 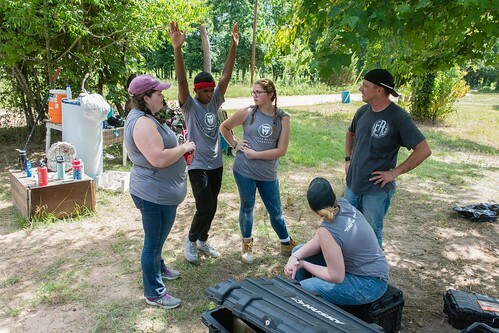 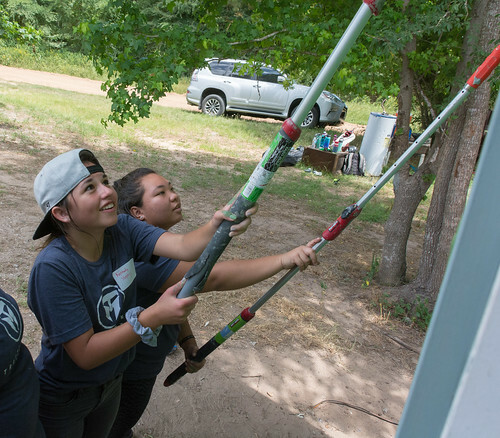 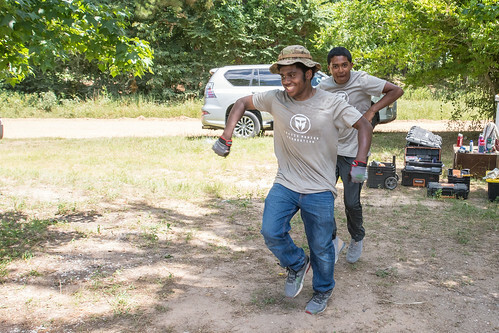 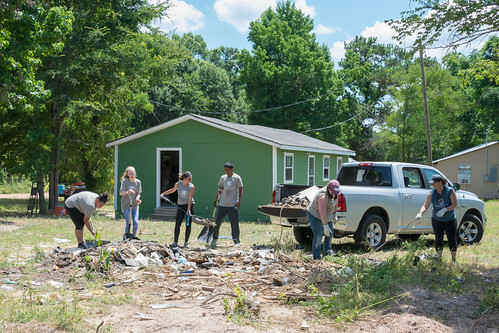 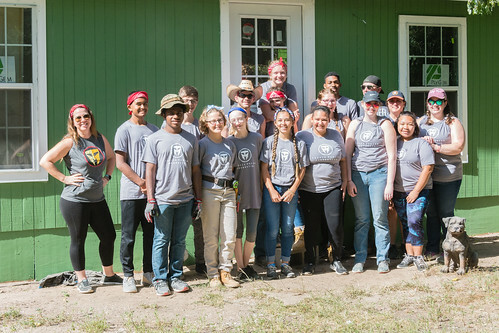 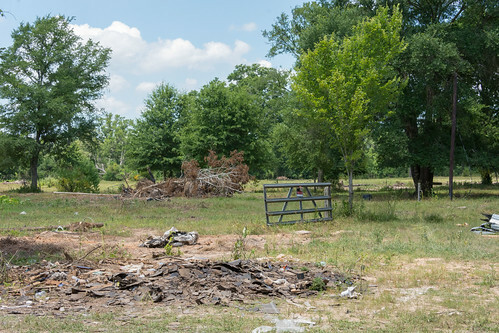 Not only did the teens learn how to float sheetrock, but they also painted the entirety of the exterior of the house and moved a huge amount of debris left behind from the mucking out and rebuilding process. 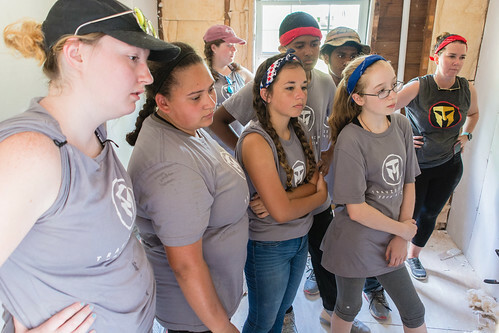 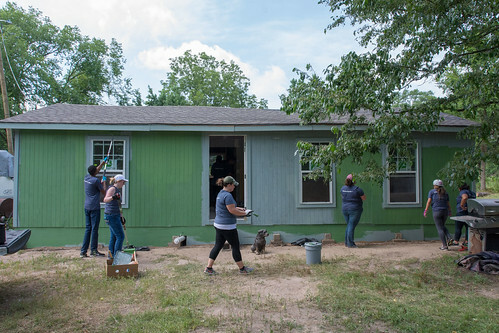 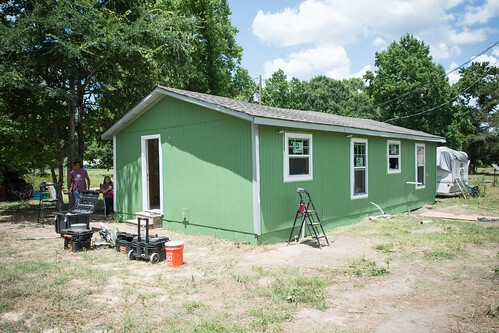 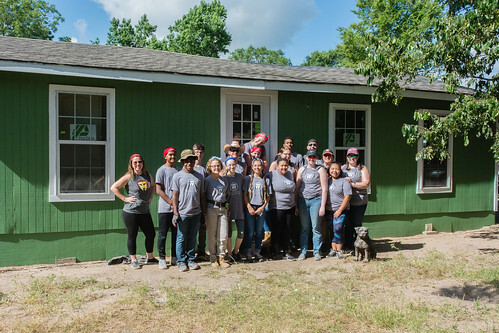 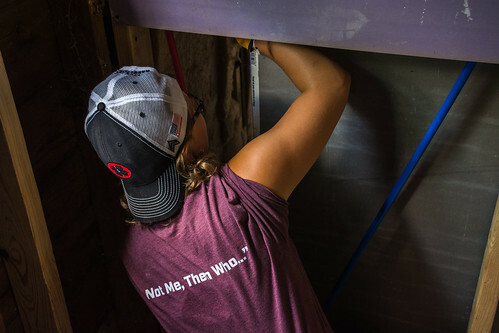 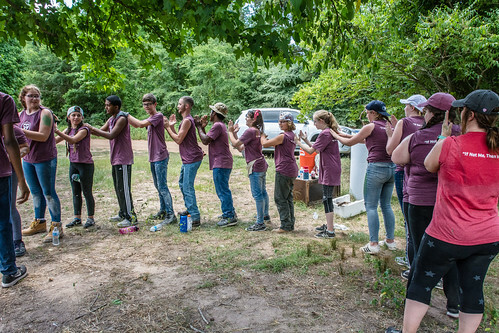 Through their hard work in the Houston heat and humidity, they were able to finalize the home so the homeowner can move back into her home, which was built by previous generations of women in the same family. 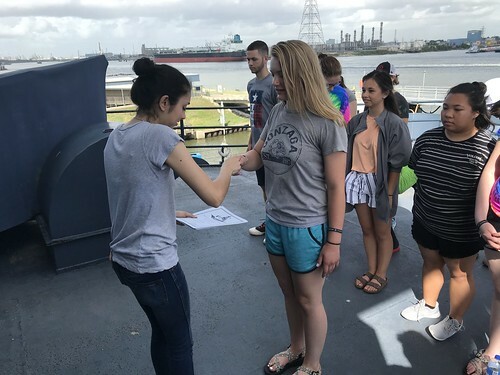 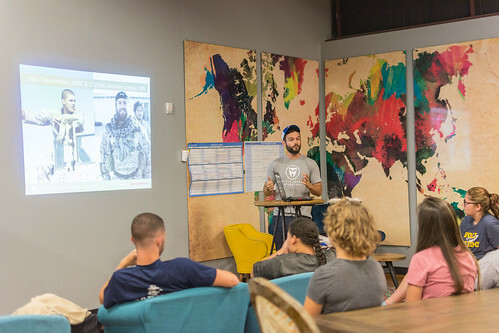 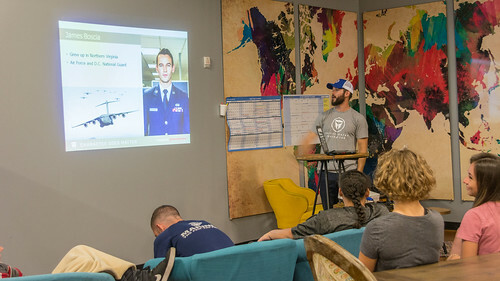 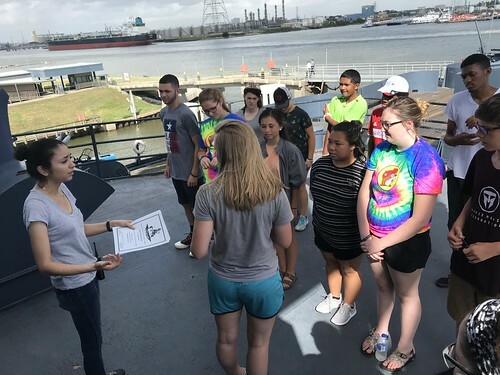 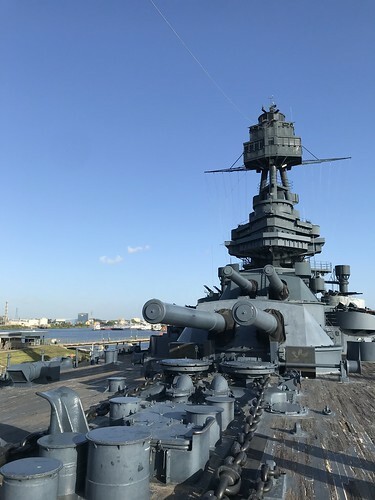 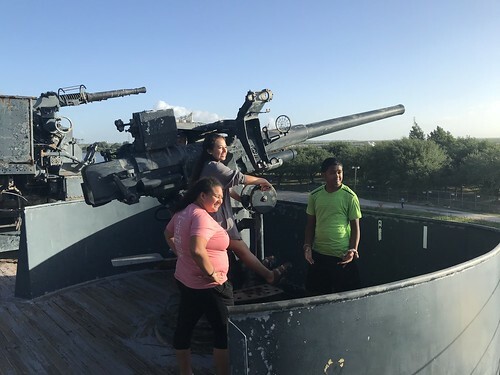 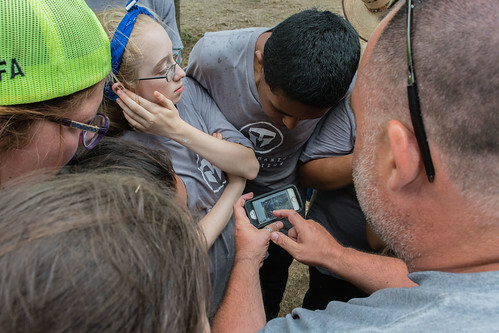 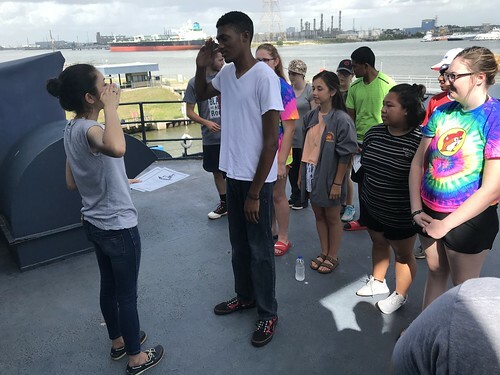 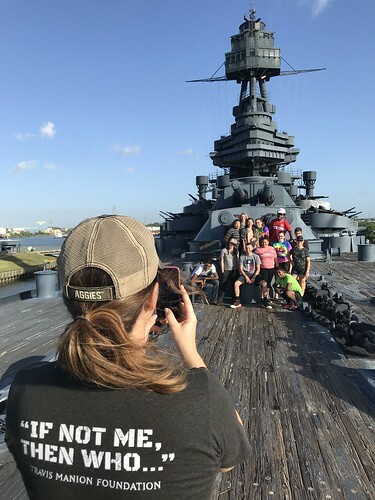 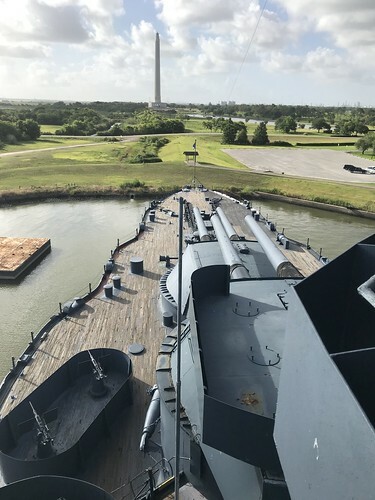 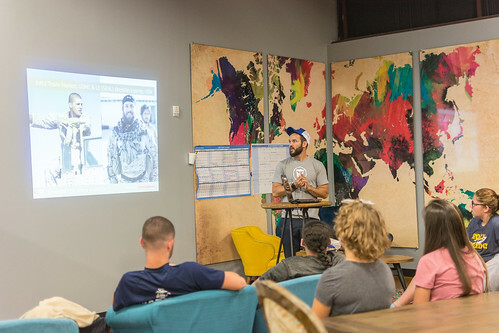 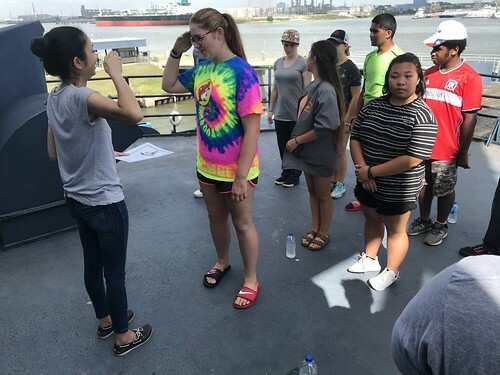 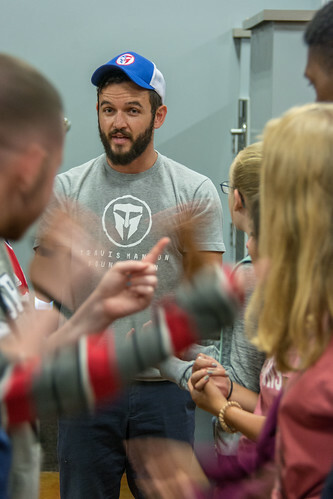 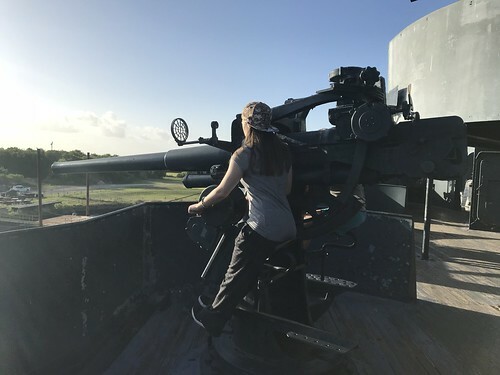 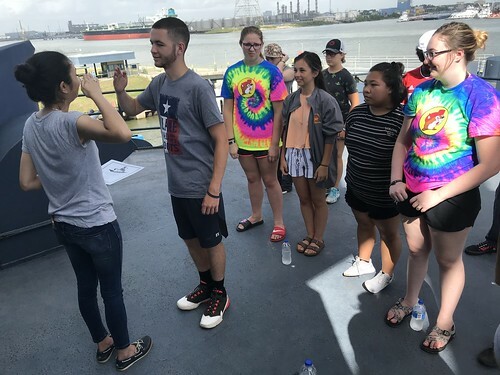 By the time the group departed on Saturday, June 16 after spending the night on the Battleship Texas, the group felt a feeling of accomplishment and strong friendships had been forged.